It certainly has been a busy summer starting with the unofficial start of summer Labor Day weekend. 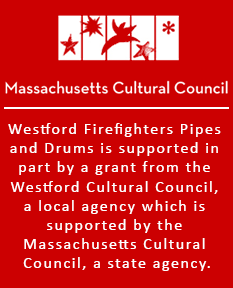 Highlights include participating in the Page Hilltop Elementary School Memorial Day ceremony, the Westford Memorial Day ceremony, the Winchester Memorial Day parade, the Fitchburg FD Memorial Sunday in June, Flag Day ceremony, a Veterans Bike ride performance, 4th of July parades in Pepperell MA and in Raymond NH followed by our annual band bbq hosted by PM Rick Tustin. 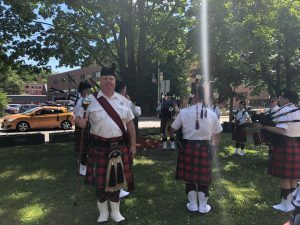 To end July we took part in the MA Fire Academy graduation on July 27th. Well the summer is not quite over yet. 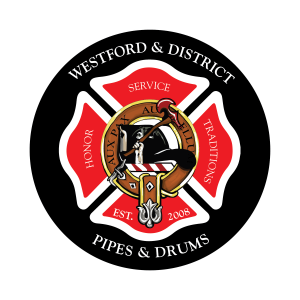 You can catch the band performing on Aug 26th at the Westford 4H fair at the Westford Fairgrounds on South Chelmsford Rd. 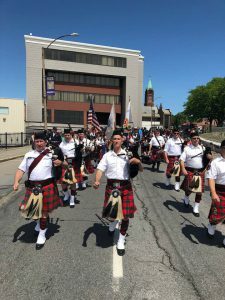 On Sept 9th at Northeast Delta Dental Stadium in Manchester, home of the Manchester Fischer Cats we will once again lead the opening ceremonies for the NH 9/11 stair climb. 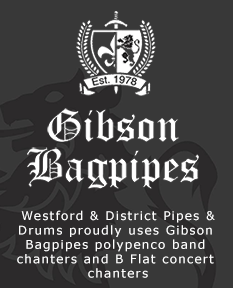 A great event to take part in. 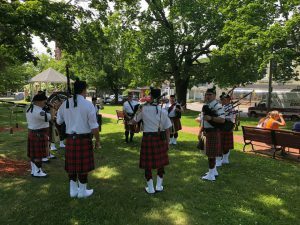 Although not taking part in the competitions the band does plan on taking part in the opening ceremonies at the NH Highland Games and Festival on Sept 22nd. 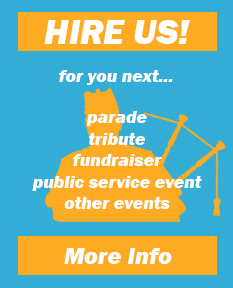 You can catch us wandering the games and having a good time. 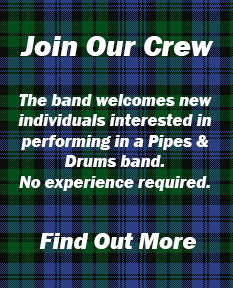 Would you like to be a part of this growing band, you can. Just click on the banner Join us and learn how. We welcome all.